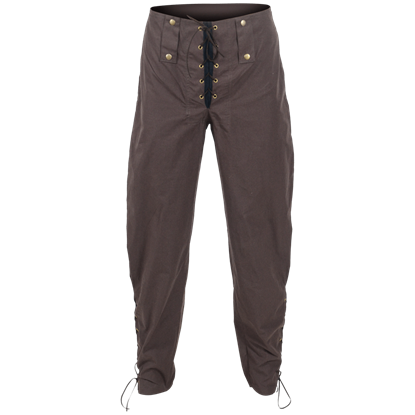 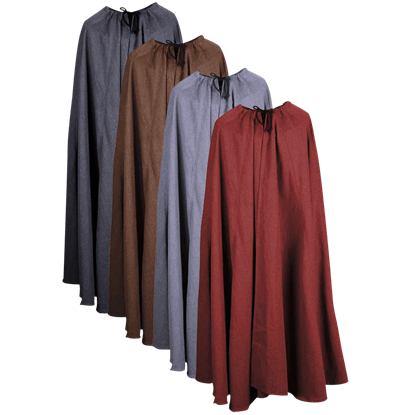 Named after a 13th century English count, the Audemar Linen Undertunic adds finesse to almost any reenactment outfit when worn as a base layer. 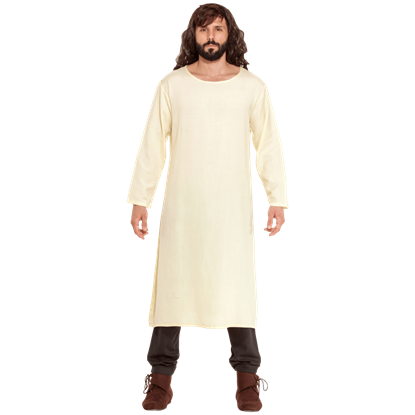 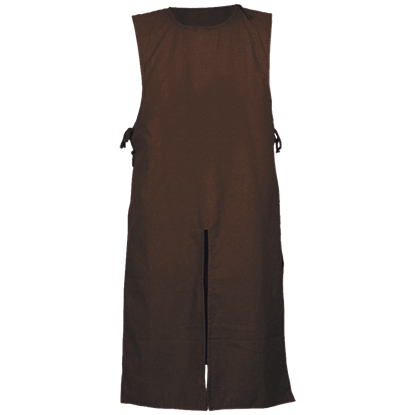 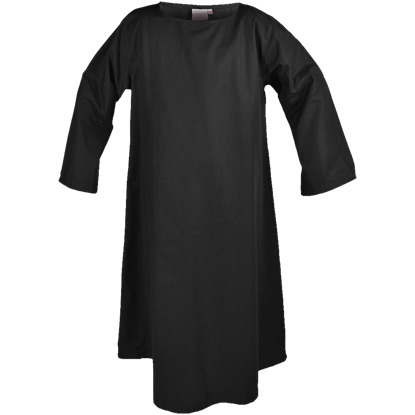 This breezy linen mens robe is a high quality staple for historically inspired wardrobes. 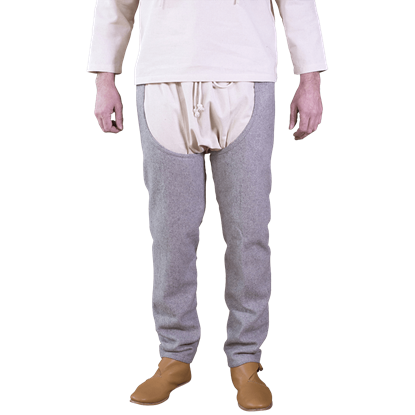 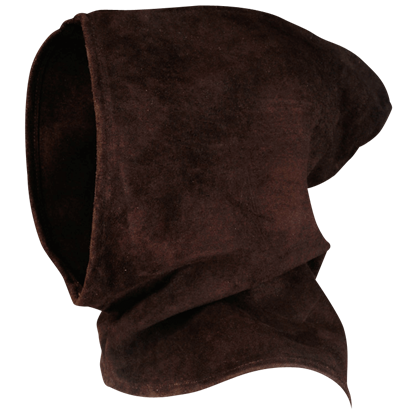 Whenever the gugel is too warm, the Bron Suede Hood serves as an excellent alternative for guarding yourself from the fierce wind and weather. 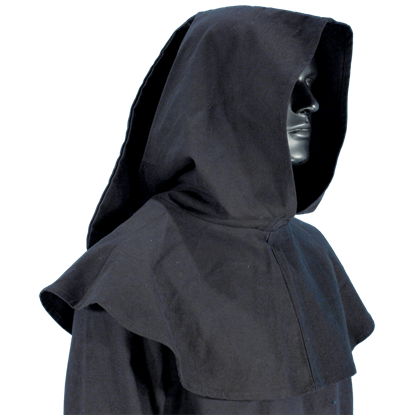 The medieval hood can be paired with tunics or cloaks for near-seamless protection. 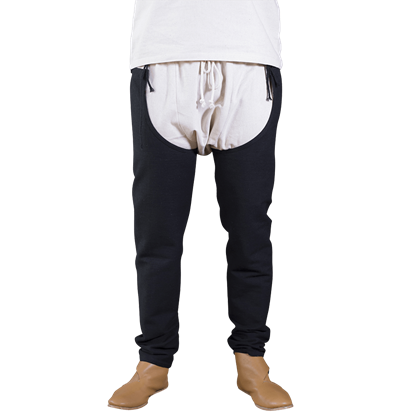 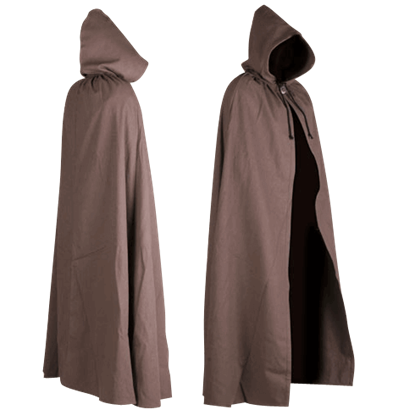 You cannot go wrong with the Carl Canvas Cloak. 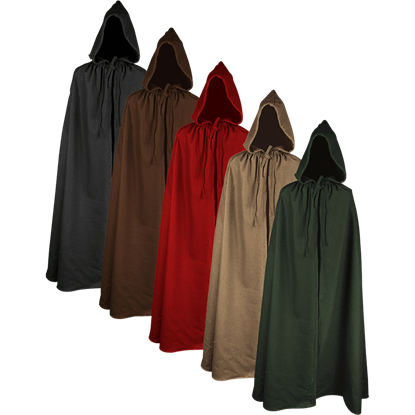 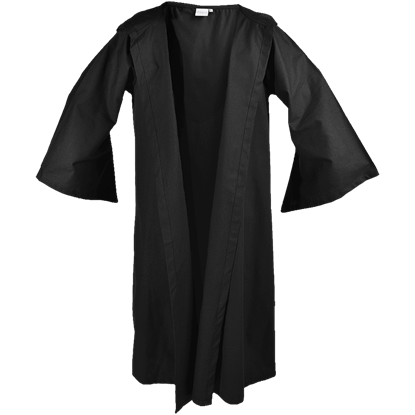 With its versatile design and durable cotton canvas construction, this cloak is an easy way to embellish any outfit or protect your body from the elements during outdoor events.